We recently discovered a gorgeous new font. You may recognize it from the recent blog post about my bike-themed wedding invitations. 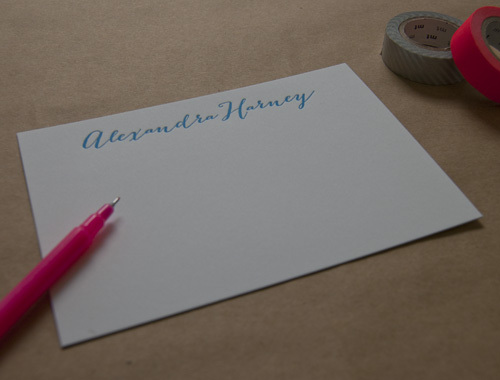 It's proven really popular with lots of our wedding clients so we designed a simple, striking new personalized notecard which features the font. We love how the font mimics handwriting but is also contemporary and refined. We think it looks great in a vivid hue, like this bright turquoise.